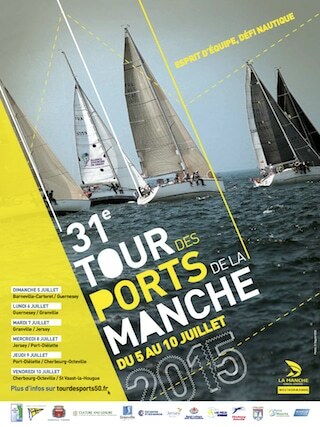 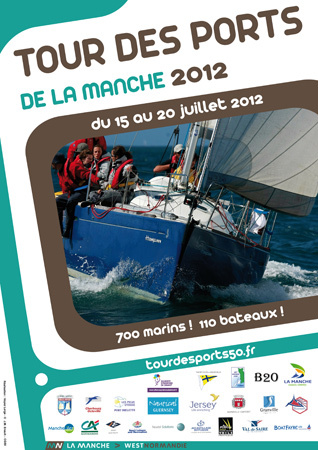 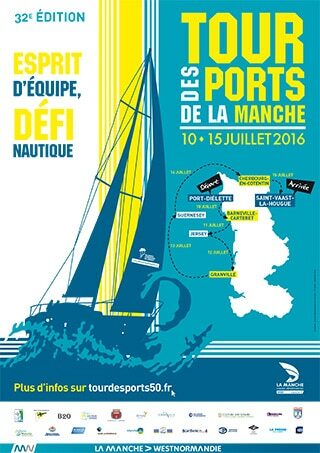 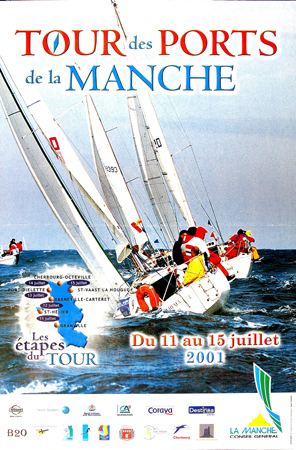 Since 1984 the Tour des Ports de la Manche sailing race has been known for its warm and festive atmosphere. 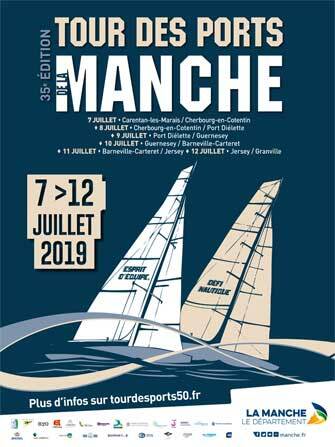 All sailors, from beginners to experienced, are encouraged to take part in this regatta as the different classes of boat competing give everyone a chance. 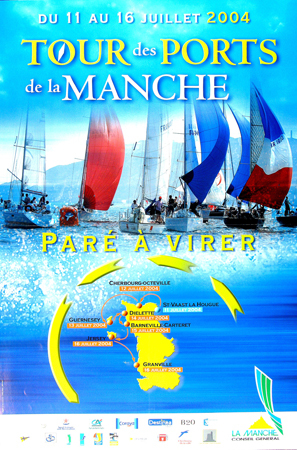 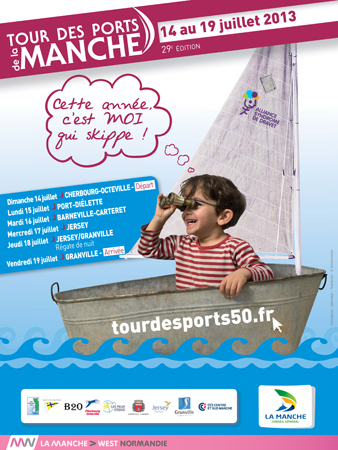 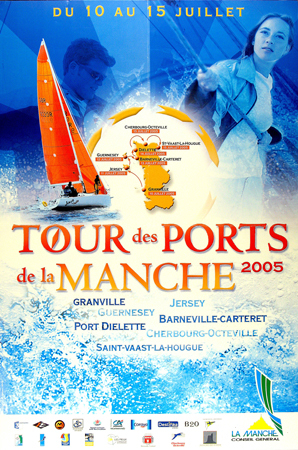 As Granville Yacht Club is at the origin of the organisation of the regatta, the Tour des Ports de la Manche started from this port for over 10 years. 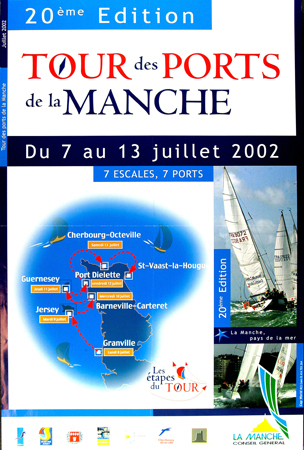 With only two legs in the early years, and only 20, then 50, and now over a 100 boats, new routes have been added as the race has expanded. 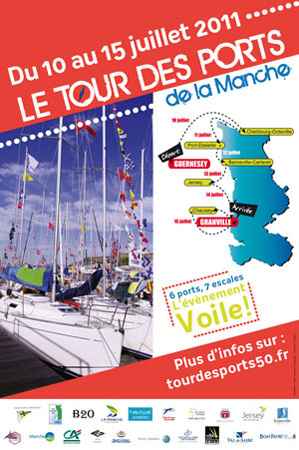 Several patrons have come to support the Tour des Ports to promote this enjoyable nautical meeting. 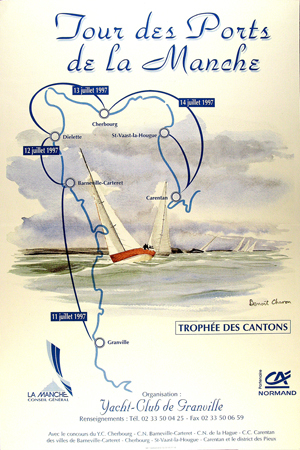 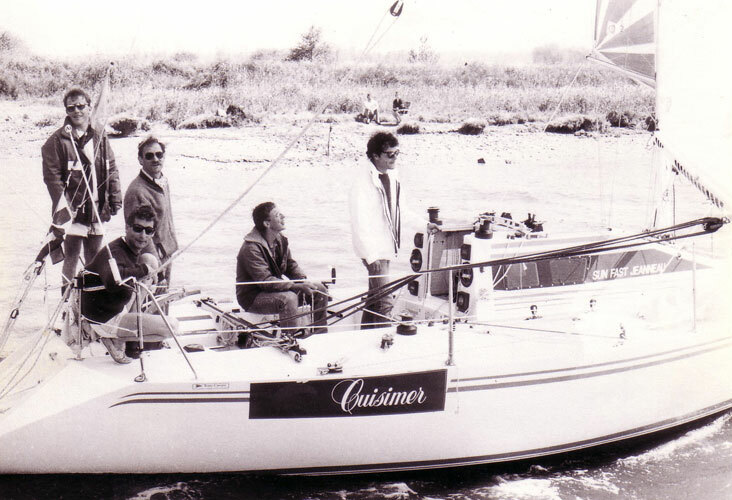 Charles Caudrelier, a winner of the Solitaire du Figaro, Yann Queffelec, Goncourt Prize winner1985, Philippe Lavil and and also Claire Pruvot, sailor, have all held this role. 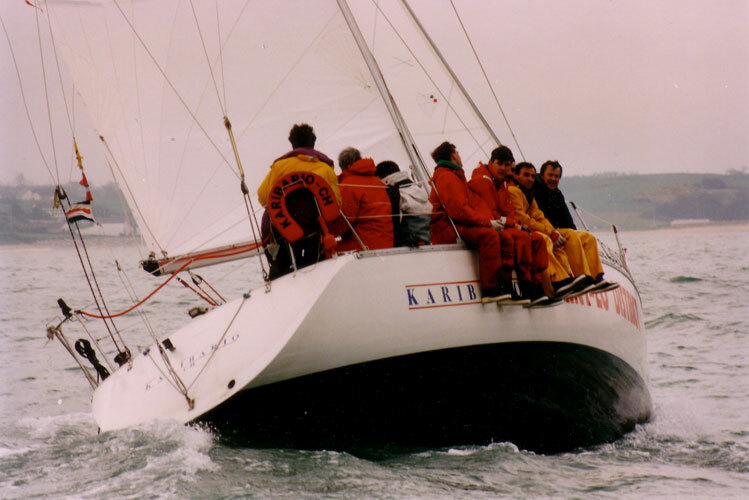 Other people such as Alexis Loison or loyal crew like the Rapetous help fill the ranks of the participants, and winners. 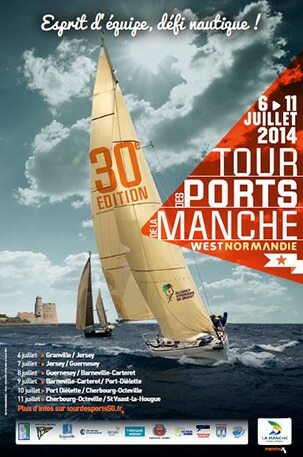 The Tour des Ports is thought of as more than a race and a podium. 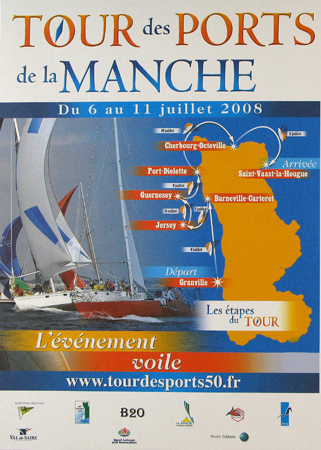 While participants still come to compete in their sport, many also come for the atmosphere. 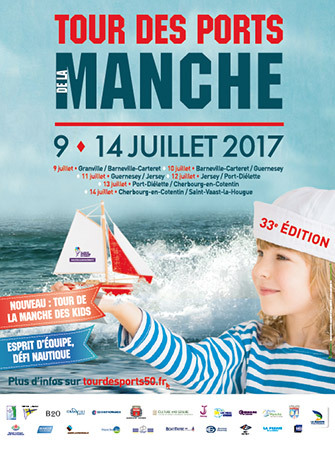 Carried by an organising team that are always motivated, the Tour des Ports de la Manche has been able to build a unifying tourist attracting event as part of the summer landscape of the department.